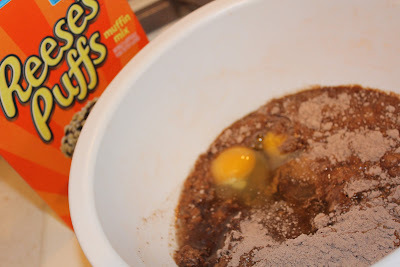 Betty Crocker Cereal Muffin Mixes - A Give Away! Is your family cuckoo for Cocoa Puffs®? Do they crave Cinnamon Toast Crunch® and Reese’s® Puffs too? Well then get ready to enjoy these flavors in a completely new and exciting way, out of the bowl and straight from the oven! 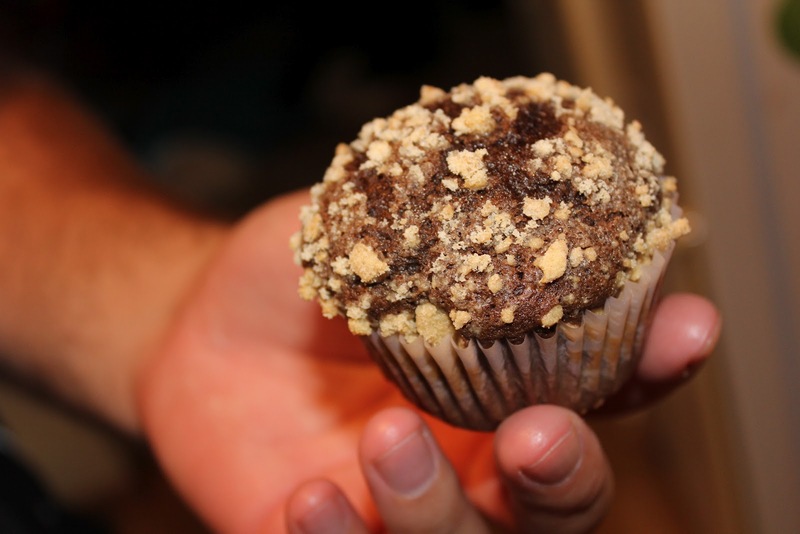 New Betty Crocker® Cereal Muffin Mixes are inspired by Big G cereal favorites Cinnamon Toast Crunch, Cocoa Puffs, and Reese’s Puffs, and are sure to be a fun way to re-mix your morning meal routine. Whether your family is gathering around the table for breakfast or simply grabbing a bite on-the-go, new Betty Crocker Cereal Muffin Mixes will provide a tasty and convenient way to jumpstart your day. OR, in our case...our evening! This is another one of those times that I wish that I could share the heavenly scent through the computer with you all! 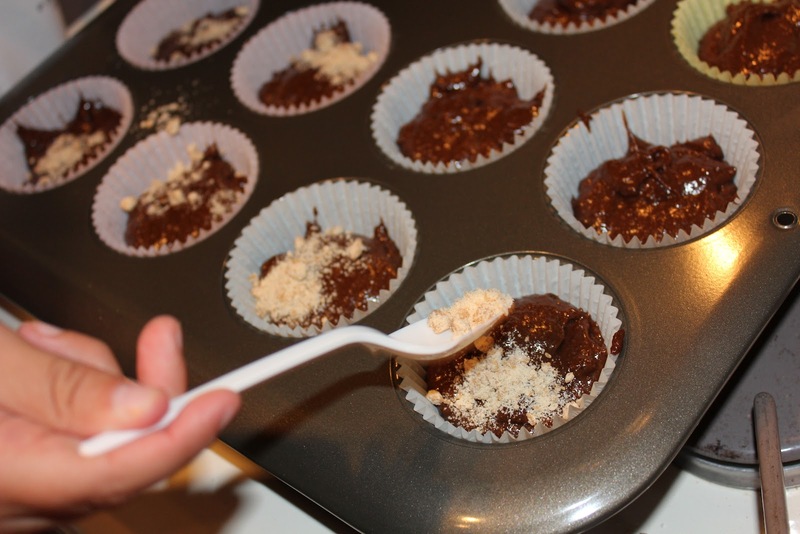 Wow - did these smell delish! 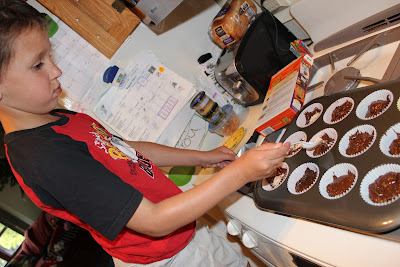 I wonder if he'll always be this helpful in the kitchen and insistent to help? Sure, it takes long, but with just a couple of ingredients needed, this is such a great way for him to learn and for us to spend some time together. Looks just like the box did! Want to try these muffins for yourself? 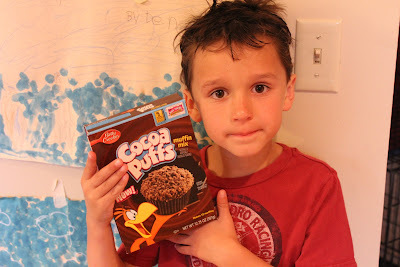 Visit http://bit.ly/CMcoupon to download a printable coupon for $.80 off one package of any variety of Cereal Muffin Mix. 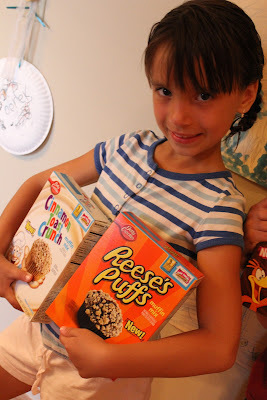 Thanks to the generous folks at General Mills & MyBlog Spark - I have an awesome prize pack to share with one lucky reader! To Enter - Simply click on the easy Rafflecopter Entries Below! 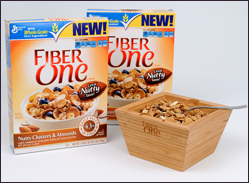 Fiber One - A Give Away! Introducing the newest flavor in the Fiber One® cereal line-up, Fiber One® Nutty Clusters & Almonds! With the perfect combination of crunch and sweetness, this new cereal is a great (and tasty!) way to help get fiber you need. In a nutshell, Fiber One Nutty Clusters & Almonds is a great-tasting and wholesome breakfast cereal that you can feel good about. Fiber One Nutty Clusters & Almonds! Thanks to the generosity of General Mills and MyBlog Spark - I have a prize pack to share with one lucky reader that contains: (2) boxes of Fiber One Nutty Clusters & Almonds cereal & a ‘Nut’ Bowl & Spoon!